Descubre los Bonos Regalo que te ofrece Hotel Finca Los Llanos*** y regala experiencias como escapadas de fin de semana, paquetes románticos o nuestro bono activo con paseo a caballo….con este regalo aciertas seguro!!!! 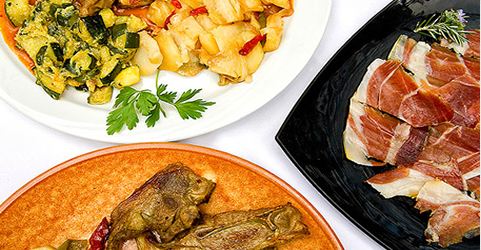 The Alpujarra gastronomy is influenced by different cultures. Finca Los Llanos is a Rural Hotel located in the village of Capileira, 1436 meters above sea level, one of the highest villages of the Iberian Peninsula. The Poqueira River descends through the gorge taking to the sea the water of the melted snow of Sierra Nevada Natural and National Park, passing through ancient villages that hang on the slopes of the mountain, as if they were sliding down the Poqueira Gorge. 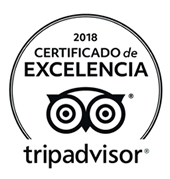 The Finca Los Llanos hotel was created in 1990 and since then it has had a great reputation for its customer service. It is located in the heart of the Alpujarra in the surroundings of Sierra Nevada, declared Biosphere Reserve by UNESCO, Natural Park and National Park, especially for its botanical endemisms and its particular eco culture. 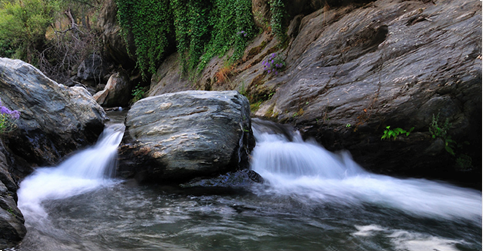 The hotel has become one of the favorite for tourists in the Poqueira Gorge, to rest and enjoy the nature.